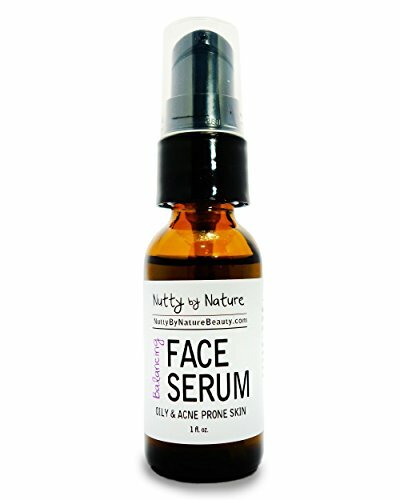 This Serum contains nine key oils that help your skin naturally maintain itself. It absorbs quickly and goes on satin smooth making it perfect for both your daily and nightly moisturizer. The unique combination of oils work on every skin type it's high concentration of linoleic acids and anti-bacterial properties make is ideal for oily and acne prone skin. Daily use will help reduce oil production, soften scars, reduce wrinkles and fight bacteria causing acne. The five botanical based essential oils work to tighten pores and improve skin elasticity making this the only facial moisturizer you'll ever need. The scent is light and relaxing with hints of floral and citrus and a subtle earthy undertone. Listing is for one 1 oz. glass amber bottle with pump dispenser. If you have any questions about this product by Nutty By Nature, contact us by completing and submitting the form below. If you are looking for a specif part number, please include it with your message.